The Spring 2019 newsletter is arriving in members' inboxes. View the newsletter here to read about the latest Society updates, commentary, and highlights. 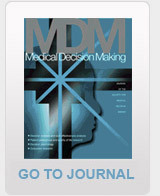 To catch up on older news, feel free to browse past newsletters in SMDM's newsletter archive.